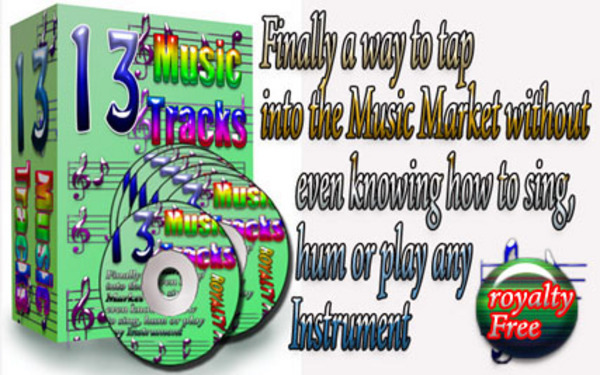 Finally a way to tap into the music market without even knowing how to sing, hum or play any instrument. These music tracks are custom written for a project but have never been used thats why we are offering the crazy low price on these 13+ audio tracks. R Over 50 minutes of music tracks in various styles. R To 5 minutes and 25 seconds the longest. R These tracks are typically 3 minutes to 4 minutes each. R Complete Downloadable file is nearly 75 Megs of music.